How can you do your part? There are several products that earth-conscious consumers can use to minimize their environmental impact. In cities where plastic bag bans are in effect, reusable shopping bags are the only way to bring your groceries and other items home. 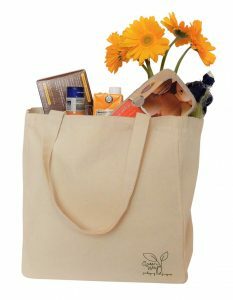 Reusable bags can be found everywhere – in grocery stores, retail stores, and even gas stations. Reusable bags are typically inexpensive to purchase and provide hundreds of uses before needing to be replaced. Each material has its own advantages and disadvantages, but they all do the same thing: provide an eco-friendly way to carry your items. Before brown paper bags were available everywhere, people brought their lunches to work and school in reusable bags and boxes. Many people still use lunch boxes today, but a large percentage do not. 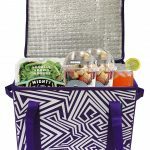 Lunch bags come in a variety of sizes, designs, shapes, and materials. And most are surprisingly inexpensive. Switching to reusable lunch items can also save money, as there’s no need to continuously purchase more bags. When you’re ready to dispose of your reusable snack bags, they degrade in less than 45 days. Conventional diaper bags come in a variety of materials, including canvas, cotton, leather, vinyl, and polyester. Many of these materials take a toll on the environment to produce. Eco-friendly diaper bags provide a better alternative. Parents can now purchase bags made of recycled material. Many companies are also offering fashion-forward designs that allow the bag to transition from diaper bag to a tote or purse. Some bags, like Maggie Bags Diaper Bags, are made from recycled seatbelts. Others, like the Fleurville ReRun, are made from PET-recycled and PVC-free materials. These materials are easier on the environment and healthier for the little one, too. Made of plastic, cat litter boxes can be toxic to the environment when thrown away. Now, there are eco-friendly options for cat owners that don’t sacrifice on cleanliness. Eco-friendly litter boxes are available that are made of 100% recycled material. These are a great option for pet owners on a budget. One of the most environmentally-friendly options is a self-cleaning litter box. These litter boxes prevent waste by ensuring that only the pet’s waste is dumped. Some boxes use water to flush and clean the box after each use. These litter boxes use reusable beads that look and feel like disposable cat litter.